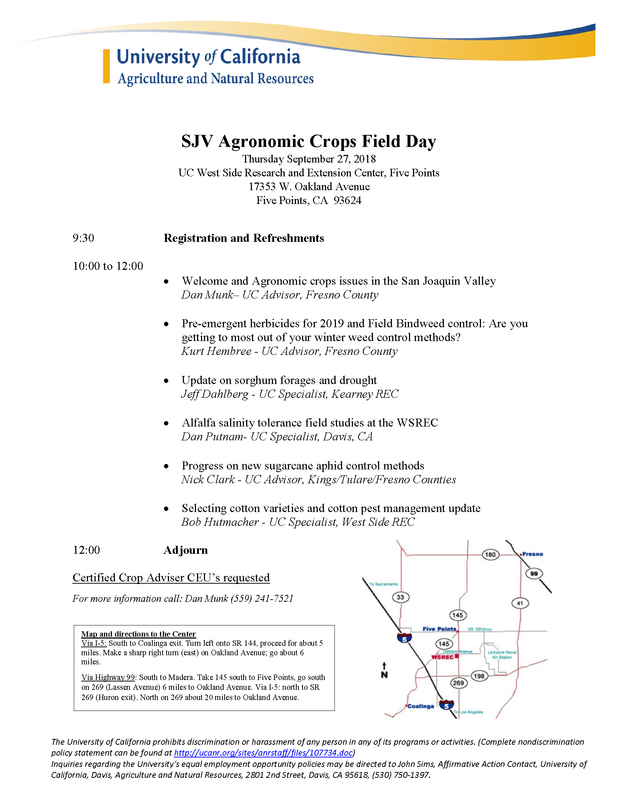 The SJV Agronomic Crops Field Day will be held Thursday September 27th at the UC West Side Research and Extension Center in Five Points, CA. The field day will begin at 9:30 a.m. and will adjourn at 12 noon. This entry was posted in NEWS & ISSUES on September 18, 2018 by ccgga.